On sunny mornings last year, a group of volunteers fanned out over an unusually unkempt lawn at the Graycliff Estate in Derby. The grounds crew had let one swath grow unmowed, encouraging the development of their natural sworn enemies, the dandelion. The bright yellow blossoms were plucked by the basketful to make into dandelion wine, to benefit the Frank Lloyd Wright-designed estate. "It's a lost art," said Graycliff executive director Reine Hauser. 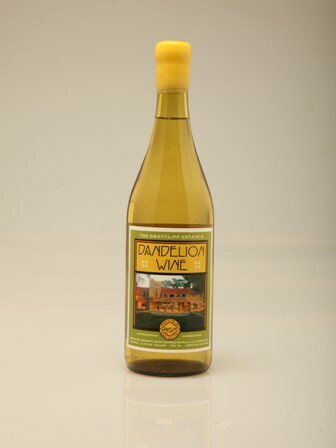 "People don't make dandelion wine anymore." Fortunately, winemaker Carl Schmitter, owner of Chateau Buffalo, knew all about fermenting flowers, said Hauser. Schmitter took over the crafting of the dandelion brew, and the limited edition vintage is on sale at Chateau Buffalo, 1209 Hertel Ave. The $39 bottle, recommended for "light food, salads, snacks and cheeses," delivers 12.5 percent alcohol.